And now, for me, it’s also about sharing a moment from mother to daughter, from daughter to granddaughter. 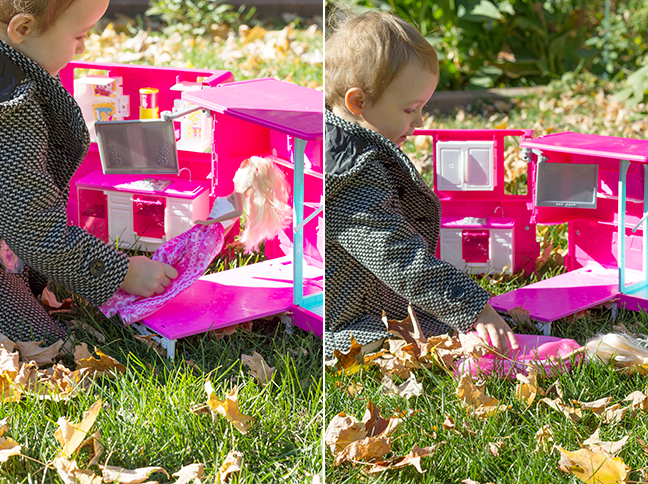 When Aurora got her hands on the Barbie Camper that Mattel provided us with, I saw my childhood through my mother’s eyes. I understood, in that moment, why Barbie became such a big part of my childhood. 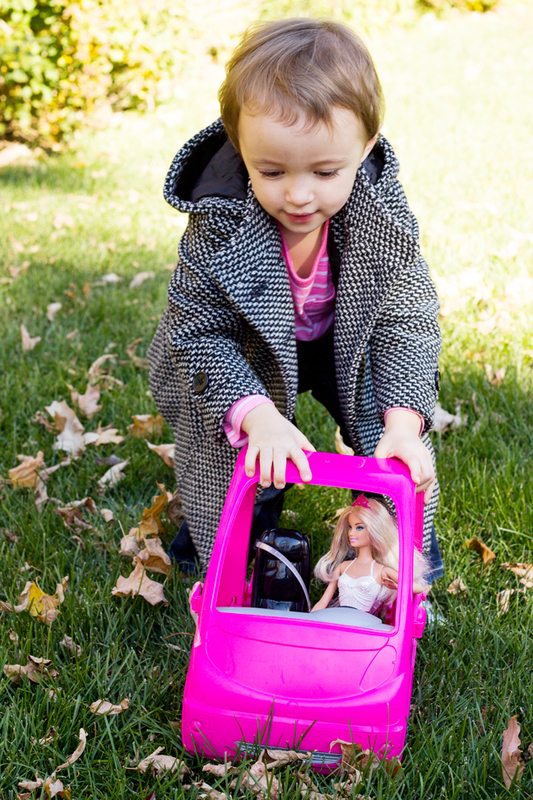 Aurora came alive and, with one Barbie and her camper, created such an intricately woven plot for her doll that was beyond anything I ever expected of a preschooler. Of course, there were lots of breaks in between the action (“She has to bake cupcakes”, Aurora told me — the perfect use of a camper kitchen, if you ask me! ), but seeing the creativity pour out of her was a completely different experience than when we have art time, or build things with blocks, or read together. Somehow, in that moment, I even felt closer to her — like somehow, our shared experiences suddenly became yet another bonding experience. 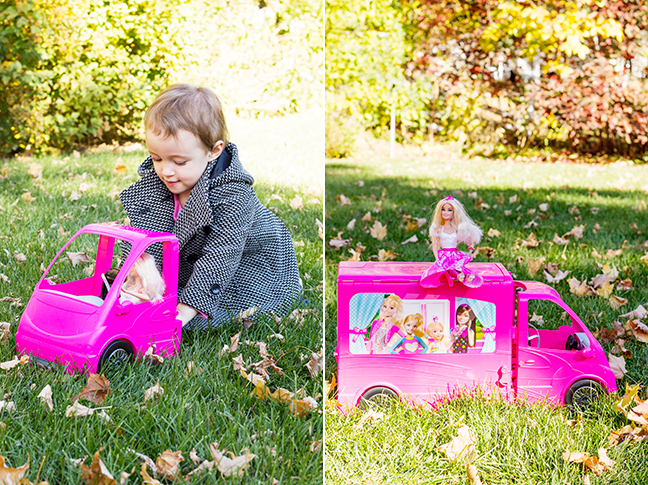 While she had played with Barbies before — she’s inherited both my mother’s Barbies as well as mine for quite the family heirloom collection — it was some combination of the introduction of the camper and the fact she’s now old enough to really use them that sparked such an amazing moment to see. Needless to say, the Barbie Camper is now Aurora’s favourite toy in her entire hoard, and I’m looking forward to encouraging her to continue to play creatively as my mother once encouraged me.